The AMD Radeon HD 8730M (sometimes known as the ATI Mobility Radeon HD 8730) is a DirectX 11.1 graphics card for laptops. It is based on the Mars chip (28nm GCN architecture) with 384 shader cores, 24 TMUs, and 8 ROPs. The core is clocked at 650 MHz (700 MHz Boost) and can access a DDR3 VRAM (1000 MHz). The performance of the Radeon HD 8730M is similar to the GeForce GT 640M LE. Current and demanding games (as of 2012/2013) like Far Cry 3 will run fluently in medium-low resolutions and detail settings. Features of the 8730M include video decoding via UVD3 for decoding MPEG-4 AVC/H.264, VC-1, MPEG-2, and Flash directly from the AMD GPU. Multi-View Codec (MVC) and MPEG-4 part 2 (DivX, xVid) HD videos are now compatible as well. The 8700M series also supports automatic graphics switching between the integrated GPU and discrete GPU. Called Enduro, the technology supersedes AMD's Dynamic Switchable Graphics and is similar to Nvidia's Optimus. Furthermore, the 8730M can directly support up to 2 connected monitors using Eyefinity Technology if Enduro is disabled. The power consumption should be slightly below that of the old HD 7670M. As a result, the 8730M is suited for 13-inch notebooks or larger. 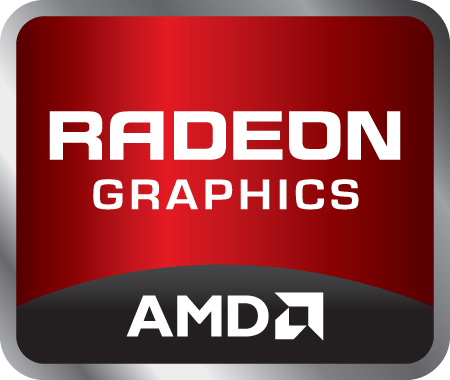 The AMD Radeon HD 8770M (sometimes known as the ATI Mobility Radeon HD 8770) is a DirectX 11.1 graphics card for laptops. It is based on the Mars chip (28nm GCN architecture) with 384 shader cores, 24 TMUs, and 8 ROPs. The core is clocked at 775 MHz (or up to 825 MHz with Boost) with GDDR5 VRAM at 1125 MHz (4500 MHz effective). The performance of the Radeon HD 8770M is in range of the GeForce GT 730M. Current and demanding games like Far Cry 3 will run fluently in medium resolutions and detail settings (as of 2013). Features of the 8770M include video decoding via UVD3 for decoding MPEG-4 AVC/H.264, VC-1, MPEG-2, and Flash directly from the AMD GPU. Multi-View Codec (MVC) and MPEG-4 part 2 (DivX, xVid) HD videos are now compatible as well. The 8700M series also supports automatic graphics switching between the integrated GPU and discrete GPU. Called Enduro, the technology supersedes AMD's Dynamic Switchable Graphics and is similar to Nvidia's Optimus. Furthermore, the 8770M can directly support up to 2 connected monitors using Eyefinity Technology if Enduro is disabled. The power consumption should be similar to the old HD 7670M. As a result, the 8770M is best suited for 13-inch notebooks or larger.